HomeIs the iPhone X Already A Thing of the Past? Let’s take a closer look at why the tenth-anniversary special edition phone is running the risk of becoming the Oneplus 2 of Apple products. The iPhone X Isn’t Doing Well… But Does Apple Care? To continue our Oneplus analogy, the Oneplus 2 successor to the more unique and popular Oneplus One, created by the breakout, if niche, Android device manufacturer. Unfortunately, the 2 could not match the One in terms of novelty, build or performance. In addition, Oneplus committed a major mis-step in that they decided to omit NFC from their second-generation flagship. This gave the impression that the phone was less functional than its competitor devices. The iPhone X may also suffer from a comparable mis-step in its design; however, in the Apple phone’s case, it is the ‘notch’ that accommodates Apple Face ID sensors. It invades one edge of the screen, which may impact negatively on media consumption for many users of this phone. Furthermore, this flagship was designed with glass on the front and back, giving rise to fears that it is too fragile, especially for a thousand-euro price point. This may be a major reason why Ming Chi Kuo, a top analyst with the firm KGI Securities, has predicted the early demise of the X as a first-party product for Apple. On the other hand, other industry leaks suggest that the X will experience an abnormally accelerated product cycle to make way for no less than three new variants. Two of these are rumoured to come with stainless-steel unibody construction, thus addressing any build-quality issues out there. One of these new purported clones also comes with an exceptionally (for Apple) large 6.5 inch OLED screen (which will have a pixel density of 480 to 500 ppi), whereas the other will have a more standard 5.8 inch screen. These two variants are rumoured to come with all the bells and whistles of the original X. 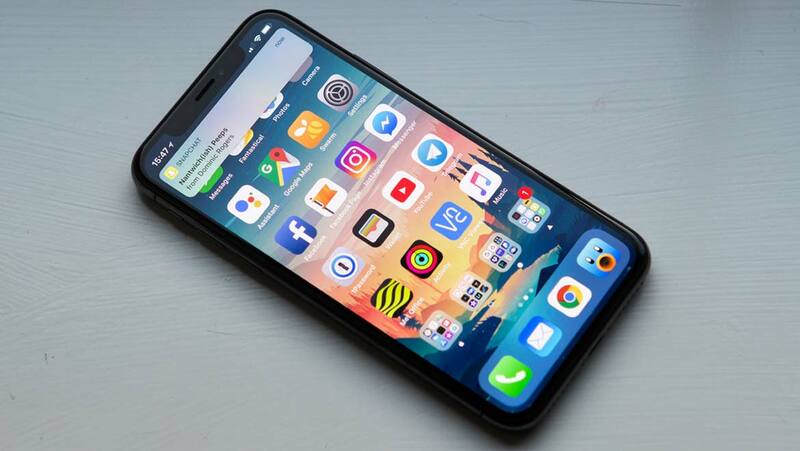 However, the third variant is reported to be an ‘SE’ variant of this iPhone: its screen will span 6.1 inches, but will be made of TFT LCD, which may be a step back in display quality from flagship products. This ‘cheap iPhone X’ is also rumoured to lack 3D Touch when it launches, and will also feature aluminium as its backing material. Ironically, the three purported X clones also feature the notch from the original product. This may indicate that Apple does not feel it is that much of a problem for its customers. However, it is also more likely that they are not willing to ditch a hardware/software feature that was doubtless expensive to develop, and also acts as a USP for this line. In any case, any amount of insecurity around the appeal or profitability of the X is cushioned by the presence of the more conventional Apple 8 and 8 Plus models, which are also still available for loyal fans that are not ready for life with the notch. In that case, it makes more sense for Apple to branch out and entice customers with a greater number of flagship (or even non-flagship) model variants, which is a tactic common to Android giants Samsung. The False Economy of Cheap Variants – Now in Apple Flavour! It must be said that this is all conjecture, based made by Apple’s rumoured next steps. There are other stories online that suggest the ‘iPhone X SE’ model will still retail for a relatively inflated price: as much as $800 in some versions. To recap, this model does not come with the premium OLED panel (or 3D Touch), and may also exhibit a resolution of about 330 ppi. This knocks it back below the iPhone 8 in terms of the specification, and may thus impact on the user experience for some. Given that Apple has built up a reputation for high-end build-quality and performance, paying this much for the logo may not be worth it in the case of this X variant. Unfortunately, there is speculation that Apple intend to build up their profit margins by selling the putative 6.1” model (which may cost relatively little to manufacture) at quasi-flagship prices. This theory may also explain why Apple may intend to replace the iPhone X utterly with these three models. Apple fans that have paid a famously large sum for their new iPhone Xs may be the most alarmed by reports that their still-relevant devices are to be discontinued early. This may have ramifications for the normal pattern of discounts consumers see for slightly older Apple handsets in the future. X owners may also be alarmed to learn that their phones may be supplanted by three new variants. One of these is a more ‘budget-friendly’ model that may appeal to those who want the big name without the usual full impact on their wallets. On the other hand, the putative robust stainless steel-covered models may be more worth an iPerson’s consideration. From a more general standpoint, the leaks concerning Apple’s future business practices may raise concerns about the company’s current standings in the manufacture and sale of personal mobile devices.